Elite Hoops Basketball: Thanksgiving Skills Clinic a Huge Success! Thanksgiving Skills Clinic a Huge Success! 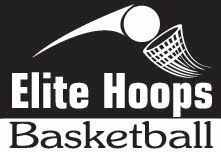 This weekend, Elite Hoops hosted a Thanksgiving Skills Clinic at the Kedron Fieldhouse in Peachtree City, GA. The sold out clinic was for experienced players in grades 4-9. Players worked for 90 minutes each day on ballhandling, perimeter moves, passing and shooting form. The quote for Saturday was "Hard work brings prosperity." Players were reminded that if you want to be a better player, a better student, or a better leader-you must work hard. We have never seen a player that works hard on the court and their game gets worse. We have never met a student-athlete that works hard in the classroom and their grades drop. We aren't saying that by working hard you will become LeBron James, or that you'll get a 4.0 gpa, but you will prosper.